A couple of weeks ago Paul and I crossed the great divide (5th Ave) to venture East and have dinner in the Lower East Side. Dinner at The Orchard was ok- (great flatbreads but a suburban mall-like decor). 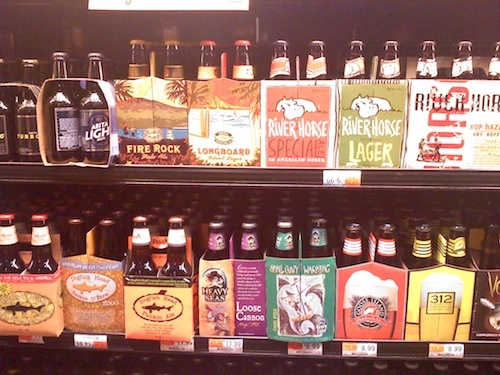 It was the walk back, when we discovered the beer room at the Whole Foods on Houston, that was the highlight. 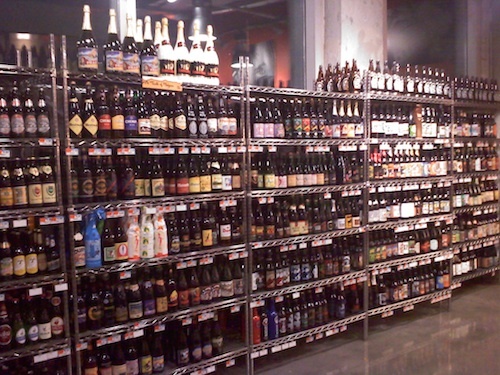 The Beer Room has more than 1,000 different types of beer, many refrigerated but even more on shelves. 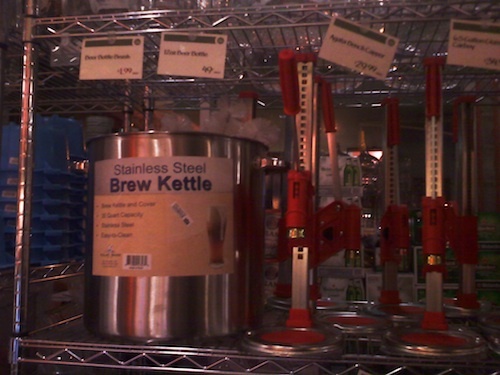 A handful are also offered on tap at any given time, and they also sell home brew kits if you want to do it yourself. This place is worth a visit.